Large construction projects require massive amounts of planning, communication, and attention to detail. This is why RFIs- Requests for Information- are necessary on the job. An RFI is an official request form asking for details during the planning, bidding, or building stages of a project. This type of request enables communication between different stakeholders to clarify details and make sure the work gets done in a safe and efficient manner. The difficulty with RFIs is that they can be time-consuming and inefficient. One study found that the average RFI costs a project about $1,000 and doesn’t even receive a response about a quarter of the time. This can lead to frustration on a jobsite. Instead of viewing an RFI as a strain on the bottom line, professionals should approach these requests as a tool to improve communication and make work easier. This is possible with modern technology. Today, there are many construction software platforms available to make communication forms more streamlined and efficient. We are going to take a look at what the anatomy of an ideal construction RFI and the solutions available to make RFIs more simple and productive. The structure of your RFI largely depends on the purpose the request. A RFI should include several main components. Here are is a typical layout for a RFI. Introduction explaining the purpose- Because a RFI can be submitted for several different reasons, it is always good to start off with an explanation of why the request is being submitted. Addressing the specific clarification or modification request- This is the bulk of the RFI. This is the chance to ask for the detailed information needed, including references to specific paragraphs or drawing numbers. Impact of Clarification- A RFI should estimate how much of a delay in construction the clarifications or modifications are expected to create. If already in the construction process, this includes the estimated modification costs. Other information- Professionals like to include information regarding how they expect the RFI to be processed, how long the contractor or recipient has to respond, any confidentiality clauses, statements about how work will be suspended until the RFI is authorized, etc. RFIs cost projects many hours. Architects, project managers, and contractors often have different ways to submit RFIs. This can create unnecessary inefficiencies on an already complex project. To keep everybody on the same page, modern software solutions can streamline paperwork and systems. A good starting point is to use a RFI app to help reduce paperwork. For multifaceted support, construction management software features tools you need to manage all aspects of the construction process. Read customer reviews to get honest and accurate insights on construction industry softwares. 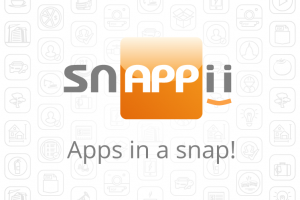 The new Snappii Construction Timesheet App is truly a game-changer in the construction industry. Not only will this redefine the way you manage constructions projects, but will also save you a lot of money, a lot of time and a lot of headache in the process. It does this by incorporating the whole timesheet management aspect of a construction business, along with many other useful features we’ll explore next, into a single, easy to use application. The main feature of the Construction Timesheet App is the fact that you won’t have to rely on paperwork anymore. No more need to copy, fax, email, pass on and retrieve timesheets from different people in your organization and then put that information all together in a different place. Now you can do it all in one place, and that’s through this easy and intuitive application four your favorite mobile devices. This will save you a lot of money, and a lot of time you’d have otherwise lost with handling physical timesheets. Aside from allowing you to create comprehensive timesheets that you, assigned managers or the employees themselves can fill out, you can also create construction projects in the app. Once the project has been created and all details pertaining to it have been introduced, you can then create profiles for your employees or managers. Next up, you’ll get to assign each and every person to whatever project you need them to work on – and they can receive the information in real time. Once they start working on the construction job, they can use the Construction Timesheet App to log in their hours and even break times. Want to get a more bird’s eye view on the operation? Create weekly or biweekly timesheets instead! As soon as a project is done, you would normally have to get all those paper timesheets together and use them to figure out wages and oversee general productivity numbers. Not anymore: with this Timesheet App you can access all saved timesheets at all times. And it gets better – if you’re not the one in charge of handling these timesheets, you can immediately email them to your supervisor, your accountant or human resources at any time with a simple tap. All in all, the Construction Timesheet App for iOS and Android is a great option if you want to save time, money, avoid confusion and risks, and be able to oversee project operations at all times. Furthermore, the application is 100% fully customizable to your specific construction business’ needs. So download it now and try it for free on two projects and watch your productivity soar to new heights! With the advent of flexible, adaptable and wide-spanning apps in terms of usability and features, construction companies have also started migrating towards using this technology for their own benefit. And there’s nothing like mobile form apps that can not only increase productivity, but also save up a lot of dead time, reduce human error and streamline projects for maximum efficiency. It used to be done on paper – everything, from data collection, to contracts, to official communications and memos, to even contact info details. And while a single company might not have that much of an impact, put all the paper used in all the construction companies out there today, and you’d still end up with a huge bottom line both in terms of environmental impact and in terms of cost. You can now take all the forms, all the printed info you need to get your work done and have it digitized instead, reducing storage capacity needs and preparing the information you have on hand for a new era: that of taking advantage of that information to grow your business and make better choices down the line. This is where efficiency comes in as well. Writing things down, passing over the written document or worrying about making copies – all of this takes time and effort, and responsibility on behalf of one of your employees. With good mobile form apps, you eliminate all these bumps in the road and can instead focus on more important things for your business. Having the ability to instantly send over documents and information to anyone all over the world will surely ease up your workload and allow for a more streamlined approach. Hands-down, one of the biggest effects you’ll see once you start using mobile form apps is the fact that you’ll get a huge boost to productivity. 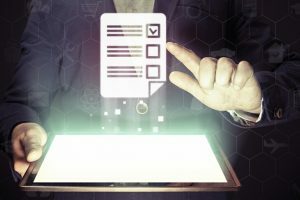 With less time spent finding the right form to fill out, and then making copies and passing them out to the right people; alongside the no-risk of losing files and forms in this process or misplacing them – all of this feeds into greater productivity. And with all forms being centralized to one specific app that supervisors can access and check at all times from anywhere in the world, you’ll have a full bird’s eye view on the whole operation – and we all know that good management is the hallmark of a successful business. So, why are you still struggling with the traditional pen and paper? What’s holding you back? Tell us of some of your concerns on migrating to a fully digital space through the use of mobile form apps. Or get on board directly like some of our other customers and step into a new age of accountability, error-free reporting and comprehensive overview on all operations done by your company. 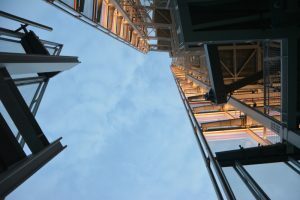 As the Internet is developing in many different directions and each of them can be smartly used to improve their business efficiently, the number of Mobile Technology continues to advance across all industries; it should not be a surprise that construction specialists are changing the way modern construction projects are being done. Mobile apps help modern construction companies to be more efficient and effective. A majority of contractors use basic technology such as laptops, tablets, and smartphones daily, which brought about the daily log app. Daily log app is very powerful tools that help the modern construction specialist in their day to day activities. 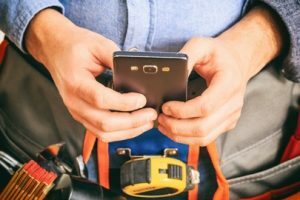 The adoption of mobile apps and technology is being utilized by more of the construction specialists who use mobile applications to sort almost (if not) all the issues and mitigate risk across their work with one central mobile platform. Daily log app helps activities in diverse of ways, running modern construction these days revolves around two major features: keeping your employees well-organized and ensuring high online visibility for your venture. So, daily log app is the best mobile app that can help you achieve these two goals. Daily log app helps every construction specialist that hires people and knows how difficult it is to keep them organized and keep to time. Therefore, there is the need for daily log app to smoothly and effectively organize your projects and monitor the daily activities. Fortunately, the quality of daily log app follows the demand of the market. As a result, you can choose our Construction Daily Log App to perform all the activities of your project to improve your business results. Construction Daily Log App makes daily safety inspection checklists easier for construction specialists to reduce the risk and also keep job sites safe with a streamlined approached to identify health, safety, and environmental issues. Daily log app with on-site safety compliance capabilities can instantly capture at-risk site observations and serve as an official project record; it reduces the stress or mistake of double data entry back in the office. This ensures timely and proper management of such issues, further strengthening regulatory compliance. Construction Daily Log App provides the ability to have a proper customized documentation and create reports in the field. The app also helps to create defect capture forms specific to your project to eliminate repetitive and error processes. Real-time time reporting provides the ability for workers to create more detailed reports when they encounter issues. 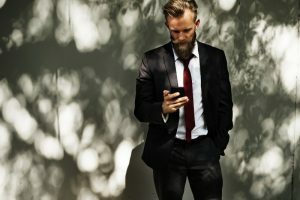 No matter what if you adopt the use of Daily log app, it’s crucial and certain to make your company or business constantly available to your old customers and new clients, the easiest way to reach and achieve this goal is to communicate with them on daily basis on daily log app, on the other hand, you reply or communicate back with them in real time. Your long-term clients will appreciate this feature, especially when they have problems or issues that need to be solved as soon as possible. Construction Daily Log App also have a great impact on reducing the delays and rework in commercial construction projects which can cost a lost of revenue and also negatively affect the company’s reputation. It will enable the construction specialist or the manager in charge to organize and synchronize the mode of operation activities through the construction mobile apps to optimize the schedule. The manager in charge with the help of daily log app can monitor progress at multiple jobs sites and can allocate, distribute materials to all the job sites in real-time. Whether Construction Daily Log App reduces delay, improves the accuracy, helps in accountability, flexibility and helps in safety compliance in project record, or improving communication and lot more, it also supports virtually all construction business requirements. The app serves as the backbone for your company greater improvement and productivity. For construction specialist to remain ahead of competitors, they need Construction Daily Log App, which provides the best solutions. Do you have specific requirements for this app? Let’s discuss and customize it. Contact us and get a free quote. Technology has been playing a vital role in the businesses World in today’s market, one of the most important innovations and the newest addition to the market which is said to offer maximum benefits to different industries, of the recent past is Mobile Application Development. Smartphones have exposed and created a great shift on how we can easily access and share data or information on our phones; almost all workers and customers are using smartphones for their work, which enables even the most difficult and stressful task easier. Whether you’re a startup or an established business, you would need to promote your business to have potential buyers or customers need to achieve sales and profits targeted. In today’s competitive times, you will need to have an interactive mobile app to survive in the market because if you fail to promote your business properly, you may lose a lot of business. For entrepreneurs, whether a startup or an established business is turning their vision into a business is a big dream, and it does not just come easily. There are various challenges that come from different corners and with the development of technology the chances of success have increased. Mobile marketing is new trend with users with information all over the world in automatic ways, and various mobile apps can now help businesses engage their customers in a better way and also keep their employees well connected and boost the bottom line. Mobile apps have provided a lot of benefits and a vital impact on the development of the company, entrepreneurs and business. Through mobile apps businesses increase the level of sales which also use to carry out branding, businesses can easily trace the actions of their customers, and what they really want, better visibility and also interactions with customers has become very easy and also minimized the opportunity to reach users in a short period (better communication). In a simple word, taking advantage of innovations in mobile technology ensures that your company remains ahead of the market competition. If you are looking for a good mobile development platform, we are the best to offer you such service. Our team will create any business app for your needs in days not months and in accordance with your requirements. The process also includes fast prototyping to provide you a full control under the development. We’ve already helped hundreds of companies and are not going to stop. Contact us right today! There are 3 ways of getting mobile business apps: get them developed in house, purchase existing ready-made apps, or get them customized/developed from scratch by a third-party.